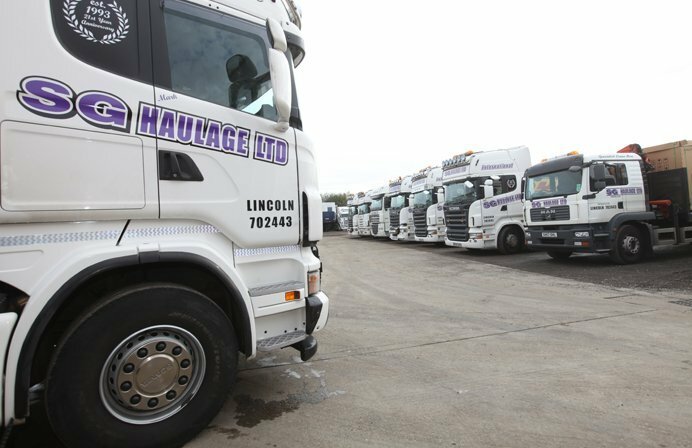 SG Haulage is a family-owned and run haulage company based in Lincoln. Much of our work comes from recommendations and word of mouth, for which we’re very grateful to our loyal customers. It’s the feedback and the passion we have for the business that drives us to provide a superior service, which has always been the key to our success. We are able to move any piece of plant or farm machinery, while other common hauls include containers, hazardous materials, caravans, and boats. We’re constantly adding and improving our fleet to offer you bigger and better haulage. Safety is paramount in this industry so our team are CPCS, NPORS and ALLMI-accredited. This, combined with years of experience, allows them to safely and competently move any heavy, specialised, sensitive or abnormal load – not just in the UK but across Europe too. SG Haulage is a member of the Road Haulage Association (RHA), which sets standards for haulage companies. Recently, we’ve attained FORS bronze level from Transport For London. This is a voluntary scheme which acts as a cornerstone to promote safety and efficiency by sharing best practice. By implementing new practices, we are constantly remaining at the forefront of all haulage operations.